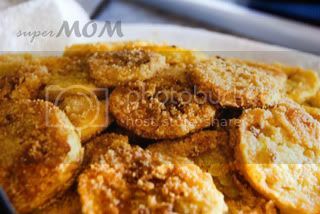 So yesterday I cooked some fried squash with "mushroom" steak. 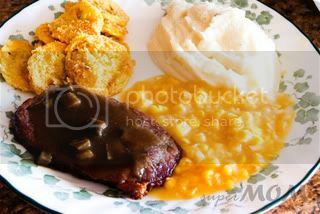 (I also had mashed potatoes and cream corn but the potatoes were instant and the corn was canned;). 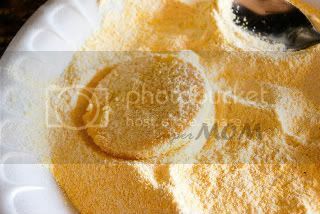 I figured I would show you the way I make squash..and a lot of you may not like it like this but if you like butter and "crunch" then you will enjoy this. 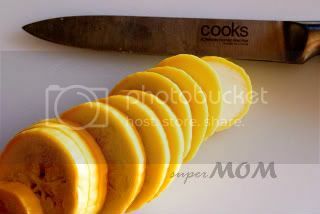 First you will slice your squash into thin (or thick if you prefer) slices removing most of the crooked neck and the end. 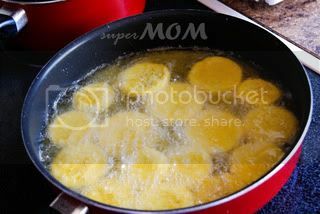 While doing this you can pour about 1/4 cup of vegetable oil (cooking oil) in a skillet and start heating it..it's best for the oil to be really hot before you add the coated squash. 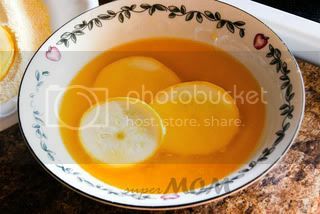 Next you will put your squash slices into the hot oil and cook about 5-6 minutes on each side or until each slice is tender. 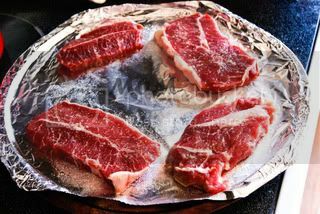 For the steaks defrost them..if you like to marinade your meat you may want to soak it several hours before (or even overnight) cooking. Then you can cook another 5-7 minutes or to your preferred rareness. 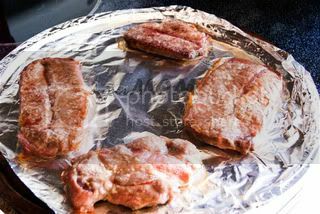 Don't overcook because this meat is so lean and thin that overcooking could result in the meat being very tough and leathery.